Indulge in a classic Christmas lunch at Lester's Farm Chalet. 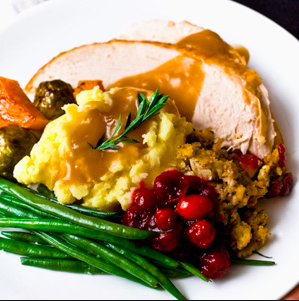 Turkey dinner, carrot, turnip, potato, beans, cranberry sauce, dressing, and gravy. Top it off with a slice of hot apple pie and some hot coffee or tea. See below to book your reservation. Note: To confirm your reservation, we require a deposit of $250.